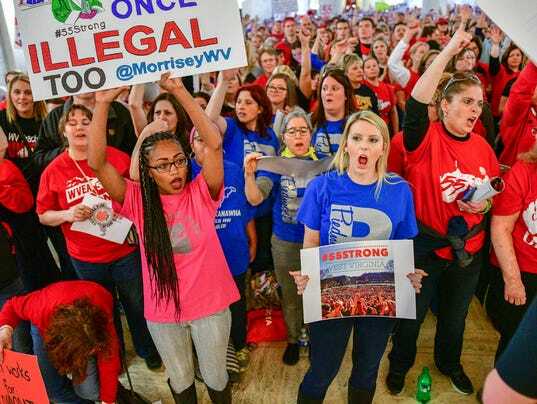 The teachers strike in West Virginia enters its ninth day Tuesday as lawmakers plan to weigh in on a possible compromise. The teacher walkout over benefits and pay, among the lowest in the nation, shuttered classrooms Feb. 22. Since then, angry teachers have marched on the state Capitol to press legislators to raise their pay after four years without an increase. A show of support by thousands of teachers and supporters Monday didn’t immediately sway the lawmakers, who failed to agree on a 5% pay raise that would end the strike. The 2018 primary elections kick off in Texas on Tuesday, and early voting turnout has Republicans worried. Democratic turnout for the 2018 midterm primaries in the state’s 15 largest counties was nearly twice as high as the totals in 2014, outstripping the Republicans in urban counties in the GOP stronghold. Despite this success, there have been setbacks for grassroots liberal groups who have accused the Democratic Congressional Campaign Committee of attacking Democratic candidates.These primaries will serve as an early test for both parties ahead of November’s elections. Sen. Ted Cruz is up for re-election this year as are all 36 of Texas’ representatives. The chief of the military’s U.S. Africa command will testify before Congress on Tuesday, just days after the Islamic State released a propaganda video that appears to show a militant ambush in Niger that killed four U.S. soldiers last year. Gen. Thomas Waldhauser is expected to testify before the House Armed Services Committee. The graphic, nine-minute video appeared to be taken from the helmet camera of at least one of the fallen soldiers. The battle near the village of Tongo Tongo on Oct. 4 prompted a Pentagon investigation into whether the soldiers had sufficient training and weapons for the mission. The U.S. Military is reviewing images supposedly showing dead American Soldiers from the October 4th ambush in Niger. Veuer’s Sam Berman has the full story. A conservative Republican will have to prove his state has a problem with voter fraud if he’s to win a legal challenge to voter registration requirements. Kansas Secretary of State Kris Kobach, who is running for governor and was part of President Trump’s now-disbanded commission on voter fraud, has long championed a Kansas requirement that people present documentary proof of citizenship — such as a birth certificate, naturalization papers or a passport — when they register to vote. No other state has been as aggressive as Kansas in imposing such proof-of-citizenship requirements, with critics contending that disenfranchised minorities and college students may not have such documentation readily available. The case heads to trial starting Tuesday. 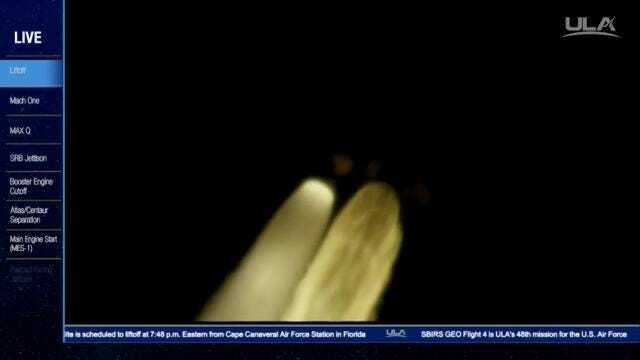 SpaceX notched its 50 successful Falcon 9 rocket early Tuesday, lifting the heaviest communications satellite the rocket has carried yet from Cape Canaveral Air Force Station. The 230-foot rocket roared into darkness from Launch Complex 40 and released Spanish satellite operator Hispasat’s 30W-6 spacecraft, weighing more than 13,000 pounds, that will provide high-definition broadcasting and broadband Internet service to Europe, the Mediterranean and the Americas. 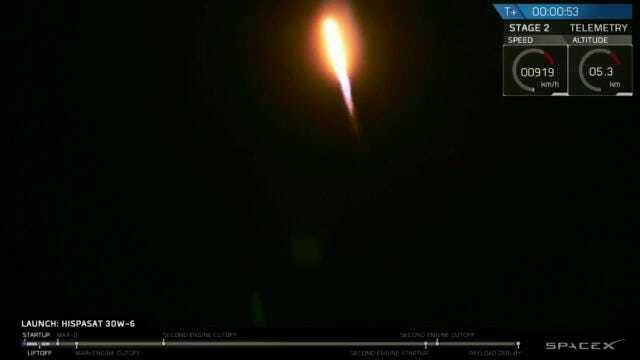 Tuesday’s launch follows last Thursday’s successful blastoff of an Atlas V rocket with the newest National Oceanic and Atmospheric Administration weather satellite labeled GOES-S.
A SpaceX Falcon 9 rocket takes off on its 50th mission on Tuesday, March 6, 2018, with the company’s largest payload contract to date – the Hispasat 30W-6 communications satellite. 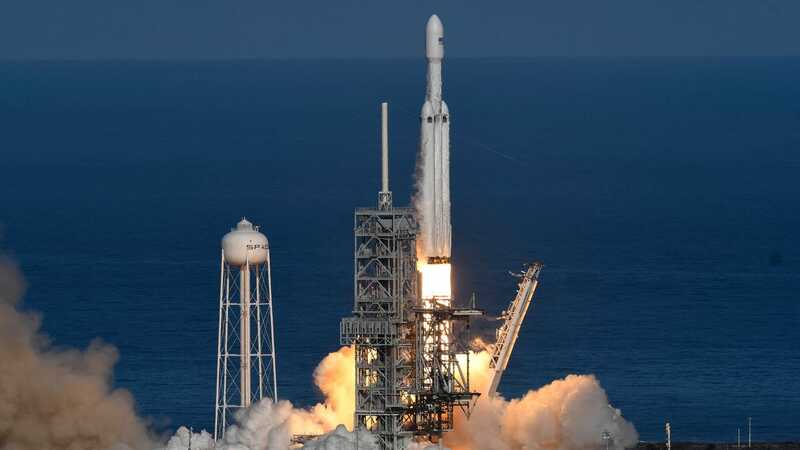 SpaceX launched its Falcon Heavy rocket from Kennedy Space Center on Tuesday, Feb. 6, 2018 and landed two of the side boosters at Cape Canaveral Air Force Station. 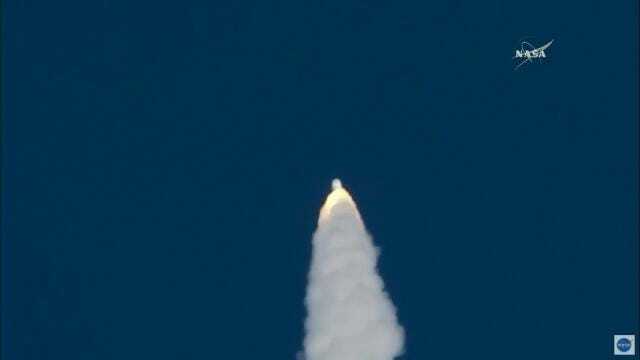 An Atlas V rocket blasted off from Cape Canaveral Air Force Station in Florida with an Air Force satellite designed to detect ballistic missile launches on Friday, Jan. 19, 2018. 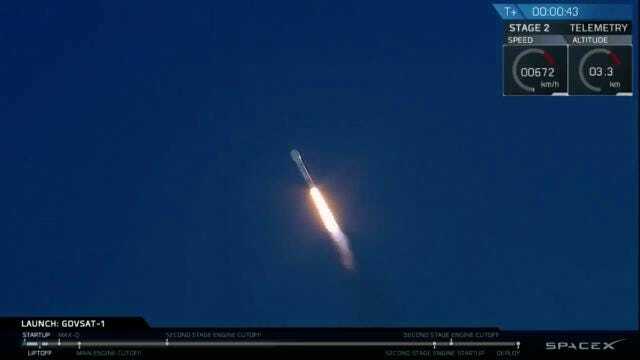 SpaceX successfully launched the secretive Zuma mission from Cape Canaveral on Sunday, Jan. 7, 2018 and landed the Falcon 9 rocket’s first stage.